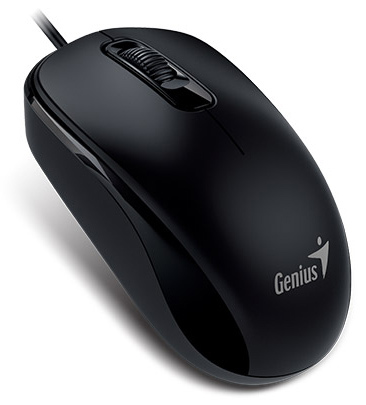 Wired optical mouse. Three buttons (including the clickable scroll wheel). Cable length: 1.5m. Weight: 85g. Dimensions: 60 x 105 x 37 mm. Resolution: 1000 DPI. Also compatible with selected older versions of Windows and other OSes, although drivers (not included) may need to be installed first.